In May 2015, when online fashion retail platform Farfetch acquired Browns – the cult boutique on London’s South Molton Street – it laid out some ambitious plans for the 47-year-old retailer. The Farfetch vision included creating ‘the retail experience of the future’ that it promised would be a ‘pioneering mix of technology and in-store experience’. Two years later and the first major step to build an omnichannel retail operation, named Store of the Future, has been taken in the form of Browns East – a two-storey concept store housed in a former print factory in London’s Shoreditch. 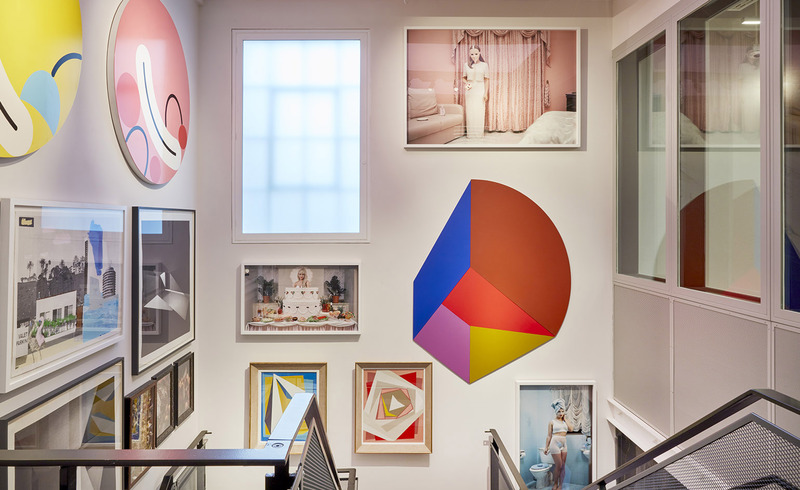 Designed by Brinkworth in close partnership with Browns’ in-house team, Browns East is the retailer’s first new bricks and mortar outpost in twenty years. While the new arrival is a departure from the traditional retail format, Holli Rogers, CEO of Browns, says that the the store’s DNA remains at its heart. Browns East, she says, is in fact the inaugural edition of the Browns Nomad projects, which will be a series of semi-permanent, roaming retail concepts tailored to their city and neighbourhood. ‘We’ve gone back to our roots, with innovation at the heart,’ Rogers continues. ‘The digital world is a must, but it’s a completely different experience when you enter a store and have that physical interaction. We are augmenting the retail experience – it has been static for some time and it’s now time to move it on. This nomadic inclination is reflected in the store’s fluid design, which takes the form of a series of installations made up of movable, freestanding elements. Arranged throughout the open-plan space, fixtures and rails are realised as bold and brightly coloured sculptural forms in a variety of natural and manmade materials. Like the Browns mothership on Molton Street, Browns East will offer a regularly rotating edit of established and emerging labels, but in-keeping with its youthful and forward-thinking surrounds, will take a ’gender fluid approach’ and adopt the latest retail technologies. ‘Our engineers will work alongside the sales associates to really get to know the Browns East customer, and to see how they are interacting with the products and services,’ says Sandrine Deveaux, managing director of Farfetch’s Store of The Future retail solution. True to the concept store model, Brown’s East’s goes beyond fashion with an offering that encompasses art, furniture, fragrance and anything else that catches the buyers’ eyes.